You must make bookings at least 5 minutes in advance of the time at Swan, Shakespeare’s Globe. Private tours of Shakespeare's Globe can be arranged for private parties. 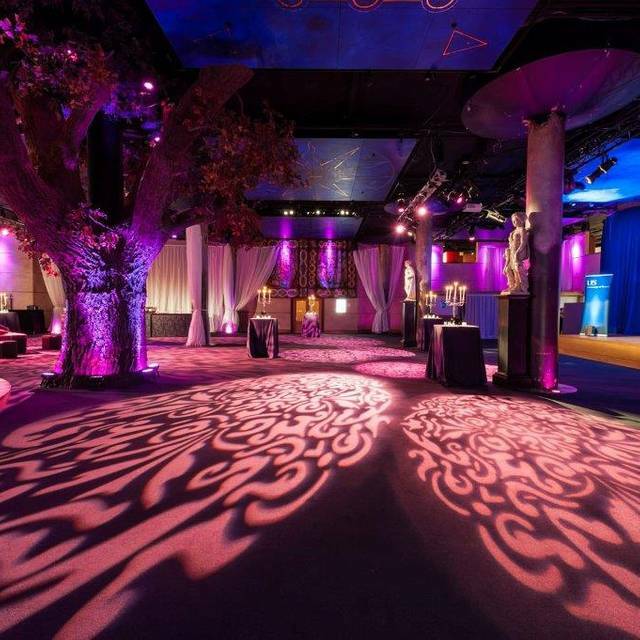 The Swan Events team host over 350 private or corporate events a year. 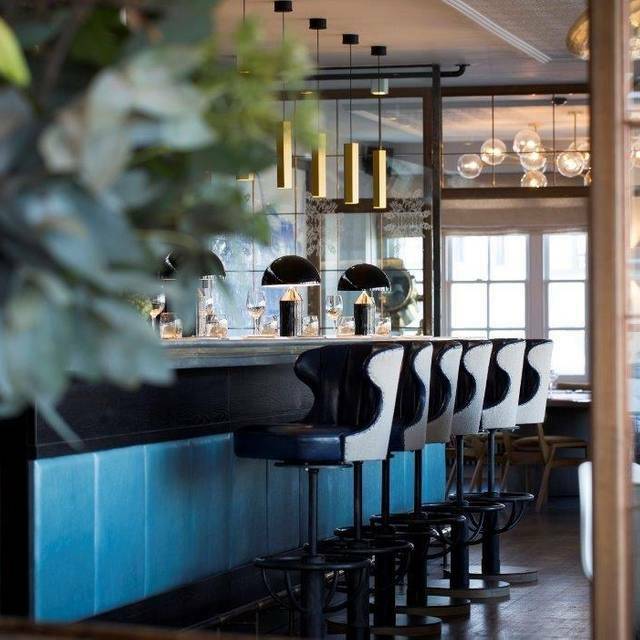 Menus are seasonal and include bowl food and canapes, delicious three course dinners, drinks packages featuring fine English wines and great cocktails. The Swan was highly commended at The Event Awards 2011 and 2012 for 'Event Caterer of the Year'. 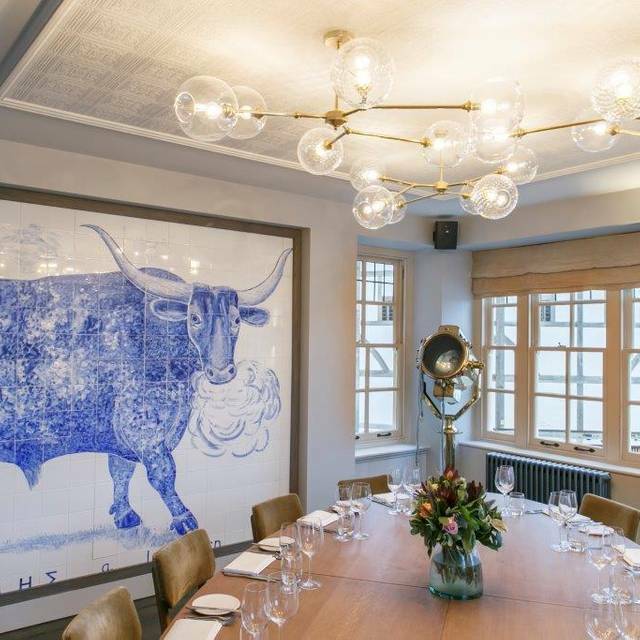 Located at the iconic Shakespeare’s Globe Theatre, moments from London Bridge and the City of London, Swan, Shakespeare’s Globe is a beautiful Bar and Restaurant set over two floors, with stunning views of the Thames and St Paul’s. 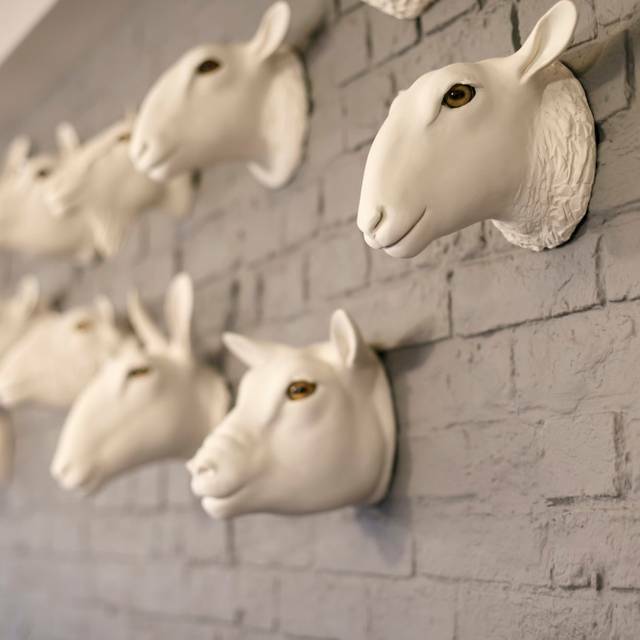 Swan is serving seasonal modern British menus for breakfast, lunch, afternoon tea or dinner and are available for private, pre and post-theatre dining. The venue also has a number of beautiful event spaces suitable for corporate events, private parties and weddings from 20 to 500 guests. The bar is open all day serving breakfast, homemade cakes, light lunches and main meals, along with an extensive wine list, original cocktails and a selection of locally brewed ales. 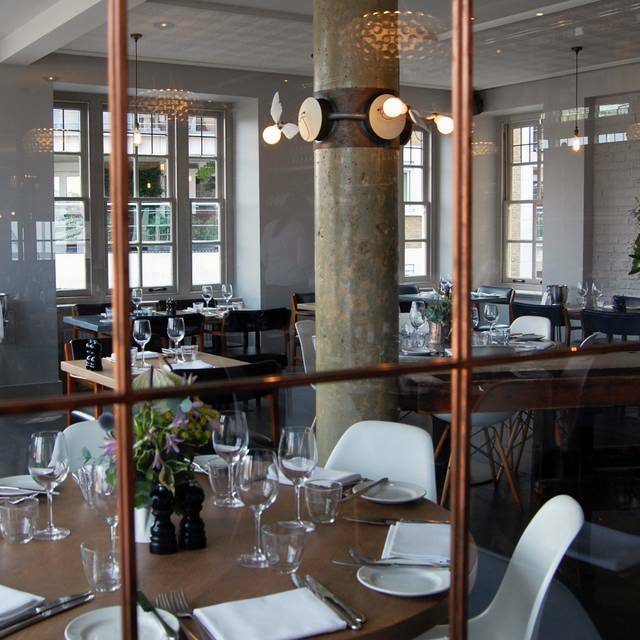 Swan, Shakespeare’s Globe is a destination restaurant located on the site of the iconic Globe Theatre. 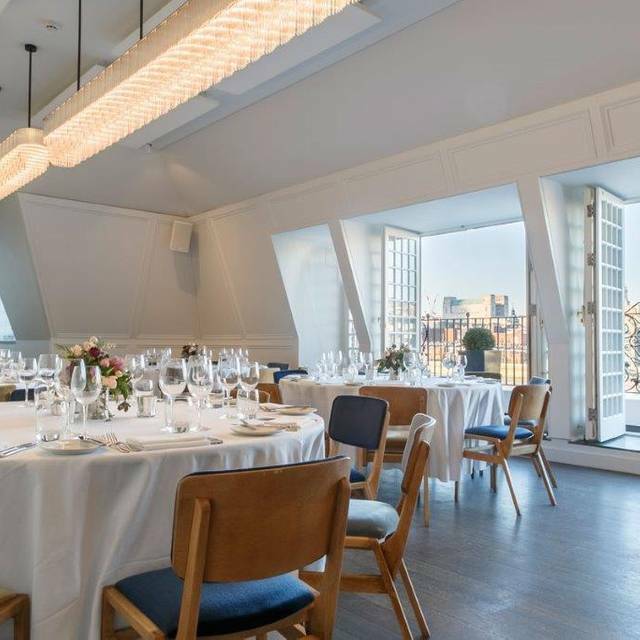 Elevated on the second floor, the two private dining rooms boast unsurpassed river views across to St Paul’s Cathedral and the City. I loved the Midsummer Night's Dream afternoon tea. Delicious treats in a quiet room at the top of the building, overlooking the river. A great value for the money. I highly recommend adding the Love Potion. Easter brunch with family of 7! 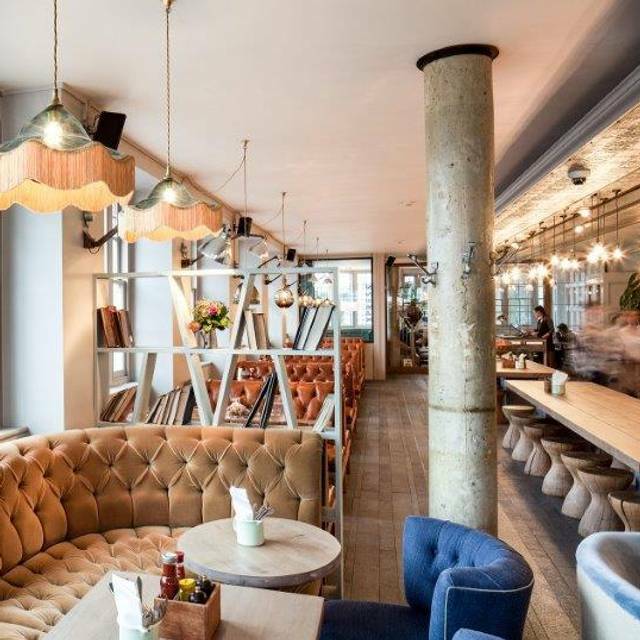 Fantastic location next to the Globe theater. Our family took the 30 min tour of the theater... which I highly recommend. Then we had the traditional tea service and the gentlemens tea service. Outstanding. 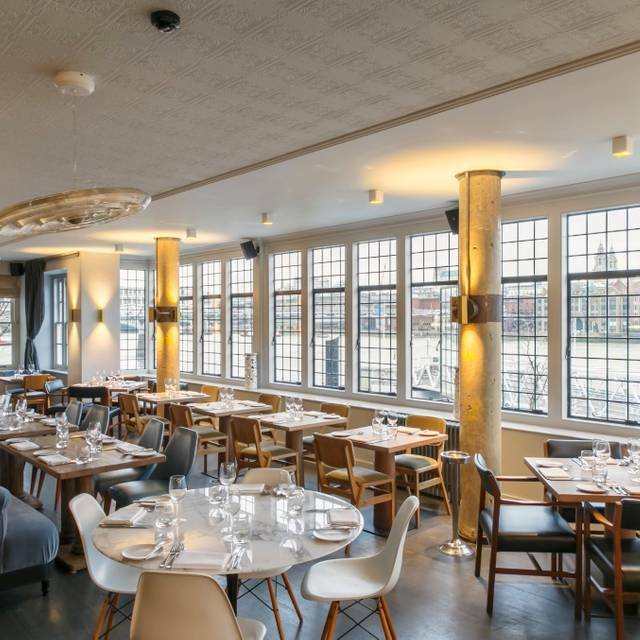 A very pleasant restaurant overlooking the Thames. We had the pre theatre menu and thoroughly enjoyed the two courses. The staff were very good, and met all our needs. When we made the reservations, we specifically said that we were going to a performance at The Globe that evening. We got there at 5:45pm for a 7:30pm curtain. Drinks, appetizers, and bread came reasonably promptly - and then we pretty much didn't see our server again. By 6:30pm we realized that nobody around us had received their entrees, and we started strategizing at what point we would give up entirely and walk out. Shortly before 7:00pm, the house manager informed us there was a problem with their "new system" and our meals would be out shortly. (Why our server couldn't have kept us updated in the meantime, I have no idea.) The people at the table next to us - who had arrived after we did - complained bitterly to the manager at that point, and were miraculously served before we were. I have a sneaking suspicion they got the plates that were meant for our table (as we'd ordered the same thing) just to keep them quiet. Our entrees came a few minutes later; by this time it was after 7:00pm. Two of us had ordered the three-course theatre menu, which included dessert, so we had to pass on that. To be fair, we were eventually told that we would not be charged for our meal, which under the circumstances was appropriate. There's still no excuse for the server failing to keep us apprised of problems in the kitchen, which surely must have been evident fairly early on in the evening. I came to The Swan yesterday for Afternoon Tea and also to celebrate a friends birthday. Having been to The Swan twice before, once for afternoon tea and also for a private lunch in The Bull Room, I expected great things, but was quite disappointed with both the service and the sandwiches which came with the afternoon tea, we asked for water whilst we decided what we were going to eat and after 15 minutes had to ask again, once we had decided on the mid summer night tea we received our cocktail and our teas but had to remind the waitress to bring the milk. The food arrived an hour after we had sat down and again that was only after I had had to ask the waitress where our food was, which miraculously appeared seconds after I had asked. I can not fault the cakes, dessert and scones we had but the sandwiches were inedible, they felt hard and stale as if they had been sitting in the kitchen for hours and tasted floury (the only way I can describe them). Also because we waited so long for our tea, we were the only table left having tea with the waiting staff clearing up and laying the tables for the evening, this made us feel quite uncomfortable. As I said earlier, I have been to The Swan twice before and had great food but was very disappointed yesterday, I did mention our disappointment to the waitress we paid the bill to and also a gentlemen we met on our way down the stairs, who stopped us and asked how we had enjoyed our food. He asked for the name the reservation had been placed in and I thought we might have heard from him, but nothing. I love your restaurant but will think twice about coming back again, which is a great shame as my previous experiences have been very good. I would like to your thoughts on my email. This is the 4th time I have visited and the restaurant is great. The pork belly roast was amazing! And the service is always so friendly and welcoming. It was a sunny afternoon/eve which meant the view over the Thames was beautiful. I look forward to dining there again soon. It was a gorgeous spot with a glorious view. I was surprised by how good the food was and how reasonable the prices given the very touristy location. We had a great Sunday roast and roast hake. The waiters were very kind. It was quiet, tasty, beautiful and stress free. What more could anyone want? Food outstanding , service outstanding . Unfortunately the noise level is too high , we could not hear each other . The bottom bar was extremely noisy so I was glad when we went upstairs it was much better. We had a lovely seat looking out onto the water. We had the pre-theatre menu which was excellent but you need to buy sides separately. The service was excellent. Booked to celebrate my partners birthday following a tour of the Globe. Lovely cocktails to start followed by lunch, both our main courses were very generous portions and were delicious. Only disappointment was that the Beef Carpaccio was not available but were not told this before we ordered! Beautiful location overlooking The Thames, excellent afternoon tea and great service. It was a wonderful venue with a great view, food and drink. All the staff were very friendly and helpful. Great lunch, good service and a lovely table by the window. The email from The Swan asked if it was a lunch or afternoon tea booking, which surprised me as it was for 12.30. There were groups having afternoon tea but they were noisy. Our waiter was helpful and listened when I asked him to simplify my order. Fabulous afternoon tea. We had one savoury and one traditional. It’s as Midsummer nights dream themed served on matching crockery. Staff were friendly and attentive. The food was delicious. Perfect scones, crisp on the outside, light and fluffy in the middle. Lovely cakes and sandwiches. The gentlemen’s afternoon tea was substantial and also very tasty. It was one of the best afternoon tea experiences that my mate and I have ever had. The food was outstanding and the services was grand! We can’t wait to go back! Delicious vegetable Wellington. Attentive service. Lovely opportunity for pre-theater meal. I had a excellent and lovely sunday roast there. I highly recommend this restaurant. Can't wait to eat here sometime soon. Very happy with the food and service thank you. Unfortunately, however, the noise level was high at the time we were there and made it hard to hear. This was our second visit in a week. We took friends for lunch who hadn’t been there before and had a fabulous time. As always food was good, staff excellent and we just loved he unhurried feel that we get when eating here. Can’t rate it highly enough. Our go to restaurant when we are visiting the Southbank. Lovely service and incredible food! 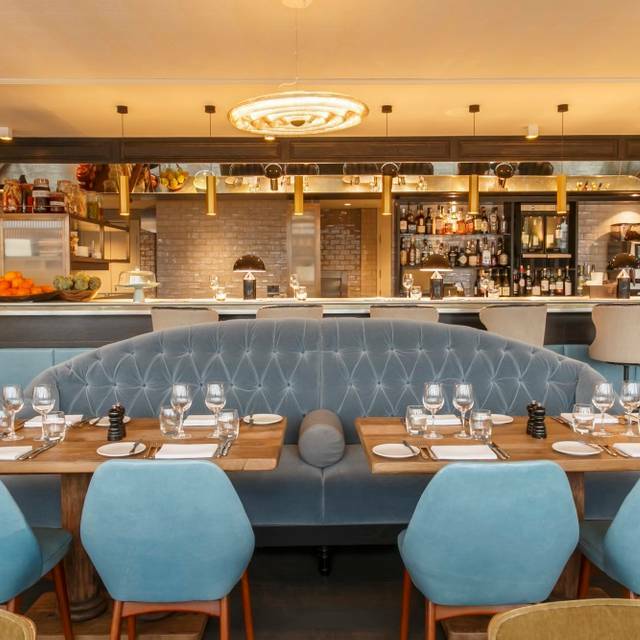 The restaurant has stunning views of London - perfect for celebrating my 25th Birthday! Amazing ambiance, interior and surroundings. The staff were friendly and helpful. We traveled with a gluten allergic, and she even got her own tray of delicious sandwiches and sweets! Fantastic cocktails, tea and wine. Best afternoon tea ever! We usually eat here after a matinee performance in the Globe or the SWP and invariably enjoy a warm welcome, an imaginative menu, an excellent meal and attentive but not intrusive service. I had afternoon tea at the Swan with my daughter (her treat). It was a lovely experience - charming service, beautiful food, super view of St Paul's Cathedral opposite. I couldn't fault it, and would certainly go there again for a special occasion. A very pleasant venue ideally located for the Globe and for Tate Modern. We lunched there between visits to an art exhibition and a play at the Wanamaker. This perfect combination was enhanced by excellent food (scallops and sea-bass for one and soup and cod for the other),a glass of wine, efficient and friendly service in a beautiful venue overlooking the busy Thames. Great! This is a great place to watch the world go by on the bank of the Thames. The service is crisp without being fussy. Delicious tea served on pretty Shakespeare-inspired plates. The food has been excellent every time I've been to The Swan. I usually go pre-theatre, so they're quite busy, but the service is quite good. I highly recommend it. We visited the Swan prior to attending an evening performance at the Globe Theatre and found it perfect for the occasion. The ambience was calm and the staff very welcoming. Our window table gave us a stunning view across the river to St. Paul's. The service was efficient but not rushed. The menu provided a balanced choice and the quality of the food was very good. Prices were also reasonable. We would certainly choose the Swan again for a pre theatre or evening meal. Booked this place Sunday afternoon for the evening time. Got a great table with a view and the food was some of the best I’ve had. Great service also. Two ladies in their 50s celebrating Mother's Day. Really enjoyed the food and the cocktail. We were not hurried and staff were excellent. It was a bit noisy as there were lots of young children but it did not spoil the experience. Whilst the service, food, views, and cocktails were lovely, unfortunately it was a far from serene 'Midsummer Dream' experience as there were three small children fighting, shouting, and rolling around by our table, with no effort from parents or staff to stop them. My son, who lives in Manchester, had met me and my daughter in London to treat us to afternoon tea, and the distraction towards the end of our time at the Swan was not peaceful. May I suggest an age limit to this event?